The Gateshead hotels listed below are either in the town or we have given a rough guide as to how far they are from Gateshead. We hope you enjoy your stay and find your ideal accommodation. With free parking and good-value en suite rooms, this stylish and modern hotel is just off the A1(M) and only 2.5 miles (4 km) from Newcastle's city centre, the Metro Centre and the quay-side nightlife. In Gateshead, Sutherlands Hotel offers stylish, air-conditioned rooms with free Wi-Fi. There is free private parking and Newcastle is a 5-minute drive away. The restaurant offers an a la carte menu featuring homemade English cuisine. Royal Hotel is a convenient and friendly base just off the A1, between the Newcastle/Gateshead Quayside and the Metro Centre. Newcastle city centre is a 5-minute drive away. All rooms have a TV and tea/coffee facilities. The Stables Lodge is a hunting lodge themed luxury bed and breakfast situated in a quiet area, a 10-minute drive from NewcastleGateshead. It offers free Wi-Fi and free parking. The rooms are individually decorated with warm colours. Conveniently located off the A1 at the Metro Centre, this hotel is 10 minute drive from Newcastle city centre. It is walking distance from 3 restaurants and public transport. Ravensdene Lodge Hotel is 5 minutes from Newcastle city centre and the Metro Centre. It is located in a leafy suburb and easily accessed by road, ferry, train or plane. Boasting a spectacular countryside setting, this charming farmhouse provides a peaceful rural retreat, just 7 minutes from the A1(M). There is good access to Newcastle, Gateshead, Sunderland and Durham. Set in the old village centre of Whickham, the hotel provides a perfect blend of good food and pleasant surroundings, while friendly staff offer a warm welcome. This 4-star hotel looks out over the River Tyne and the Quayside to Newcastle city centre. It has modern, air-conditioned rooms and a health club with gym, spa and indoor pool. 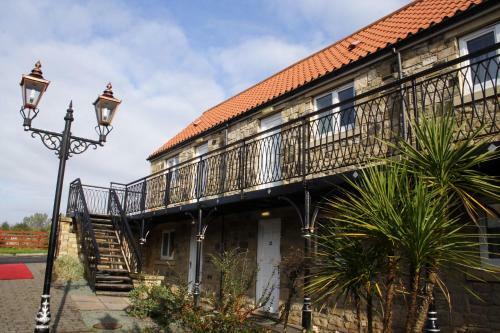 Less than a mile from Gateshead's MetroCentre, Europe's largest shopping mall, this charming hotel offers comfortable, well-appointed en suite accommodation with a nautical theme. Situated on the site of Clubbon Hall, taking its name from the nearby Ravensworth Castle, this characterful pub offers quality food and accommodation, and boasts a wealth of literary connections. 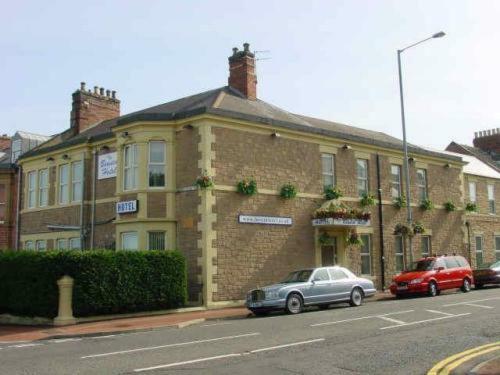 Ten miles from Newcastle, The Bowes Incline Hotel offers en suite rooms and a 100-seat restaurant. Rooms are well equipped with SkyTV, free Wi-Fi and coffee and tea-making facilities. With free parking and family-friendly rooms, this Premier Inn hotel is 1 mile (1.6 km) from the Metro Centre and Metrocentre Rail Station (10-minute ride from central Newcastle). Nestled amid 2 acres of beautifully landscaped gardens, this fine Victorian property boasts a peaceful setting in a leafy district of Gateshead, yet within easy reach of Newcastle's vibrant city centre. Just off the A1 and right outside the MetroCentre, Europe's largest leisure and retail complex, this 4-star hotel offers a convenient location, luxurious, modern rooms and great comforts and amenities. Opposite the Angel of the North, The Angel View Hotel is just 10 minutes' drive from Newcastle centre. The charming hotel features a traditional restaurant and elegant rooms with free Wi-Fi. The magnificent Hedley Hall was once part of an estate belonging to the Queen Mother. 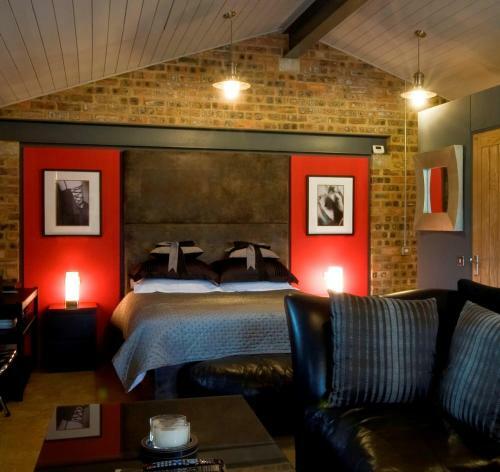 It offers 5-star bed and breakfast accommodation in picturesque grounds, 20 minutes' drive from Newcastle. These luxury self-catered cottages are set in the scenic grounds of Hedley Hall, once a part of The Queen Mother's estate. In beautiful countryside, Newcastle centre is 15 minutes' drive away.